Circle the reels with one of the most predatory creatures in Kalamba Games’ Fire Eagle. 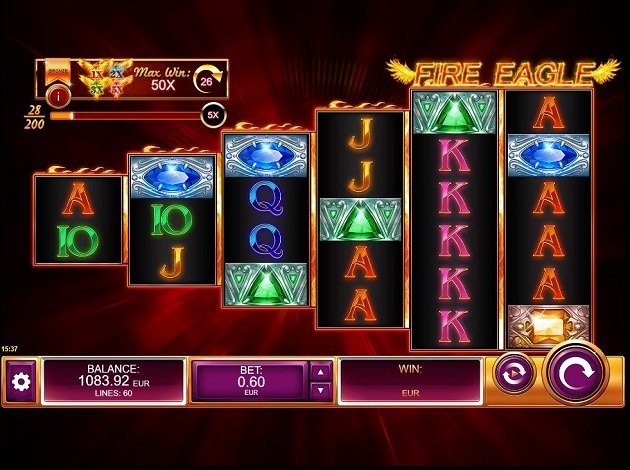 Set up on a unique layout, Fire Eagle is a thrilling online slot that comes with high-definition graphics and is packed with several exciting features. Featuring multiplier wilds, random stacked wilds, free spins and the exclusive Missions feature, this slot looks promising and is set to take you on the flight of your life. Fire Eagle’s reels stand out thanks to their unconventional 2-3-4-5-6-6 layout. This action-packed online slot offers a lot of fun to both casual and high-rollers alike. 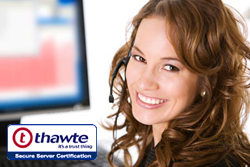 Read on to learn more about the main features and payouts offered in Fire Eagle. Want to bolster your winnings with some Multipliers? In Fire Eagle you can get 1x, 2x, 3x, and 5x multipliers with the Wilds symbols, each of which substitute all symbols except the Free Spins and the Free Spins Accumulation icons. If one or more wilds are part of a winning combination, your winnings are multiplied by the particular Wild. You’ll also get the chance to win some Random Wilds, as they appear on every spin and are placed on a column. Each set of 3 additional Free Spins Accumulation symbols: 2 free spins. The Missions feature is an exciting and exclusive addition in Fire Eagle. During this round, one or more symbols will be collected after a certain number of spins. A cash prize is awarded for the final number of matching symbols for all paid spins, as well as respins until there aren’t any more spins in that mission. There are 10 symbols in Fire Eagle. The standard card suits: A, K, Q, J and 10 represent the low-value symbols, while the four gems and the fiery Eagle represent the high-value ones. The highest paying symbol is the fiery Eagle which can earn you up to 8.3x your stake. The mid-range paying symbols are the red jewel with the gold background and the blue jewel with a light blue background which can reward you with 1x your stake. Then there is the green jewel and the yellow jewel, the highest prize you can win is 0.7x your stake. The rest of the symbols are the lowest symbols which can offer an award of 0.25x your stake. Without a doubt, Kalamba Games has managed to create something different with Fire Eagle. It’s refreshing to see a different layout for the reels, ensuring a seamless user experience. The music is catchy and as the name suggests you can expect some cutting-edge fiery graphics. The eagle itself is covered in fire and the reels light up when you hit a winning combination. Other graphics include the colourful gems and the card suits. Kalamba Games is an international games studio based both in Malta and in Krakow, Poland, with a focus on providing slot machines and casino content to the Real Money Gaming (RMG) industry as well as the social casino market. Up until 2018, Kalamba Games’ portfolio consists of over 10 games, all of which are carefully-designed games which engage the player in many ways. All of them are unique in terms of themes and gameplay, all with great graphics and design. There are many reasons why Kalamba Games slots stand out among the best, but what makes Kalamba Games a provider worth checking out is the fact that they are constantly introducing new in-game features to keep their games fresh, exciting, and new. One of their latest features is the in-game volatility selection. This feature allows players to adjust the volatility of a game to suit their personal playing style. Kalamba missions are another example of creative in-game features. Kalamba missions allow players to collect symbols during a number of spins to earn bronze, silver, gold, or platinum achievements. Other great in-game features that they’ve come up with include symbol collection, personal jackpots, symbol collection. Kalamba Games is a company that’s always working to keep things fresh and exciting, constantly adding new features to their games and working towards distributing their games all over the world. Check out Kalamba Games like Dino Odyssey and Gates of Babylon at Videoslots and you’re sure to find a game you love from their portfolio!